Man, I just love handmade and handcrafted items, don't you? I mean it never fails- each and every one is just so beautiful and insanely unique. Plus there's always a story behind it! That crafter, that artist, they fell in love with the material or the process so much, that they needed to be enveloped in it. Or maybe it has been passed down from generation to generation. Their life became that trade. Many taught themselves how to craft the certain item and pushed themselves to practice and become the best at what they do. Also, many do this while holding full time jobs and/or families! It's incredible. The end result? Products and items that are just some of the most lovely things in the world. No machine in a factory can compare to that of a man-made, handcrafted piece of artwork. The embellishments, the imperfections, the nicks or stitches or brush strokes- all specifically placed their by their creator. It's just beautiful. Take these amazing wooden spoons made by Michael Smith, of The Workshop. 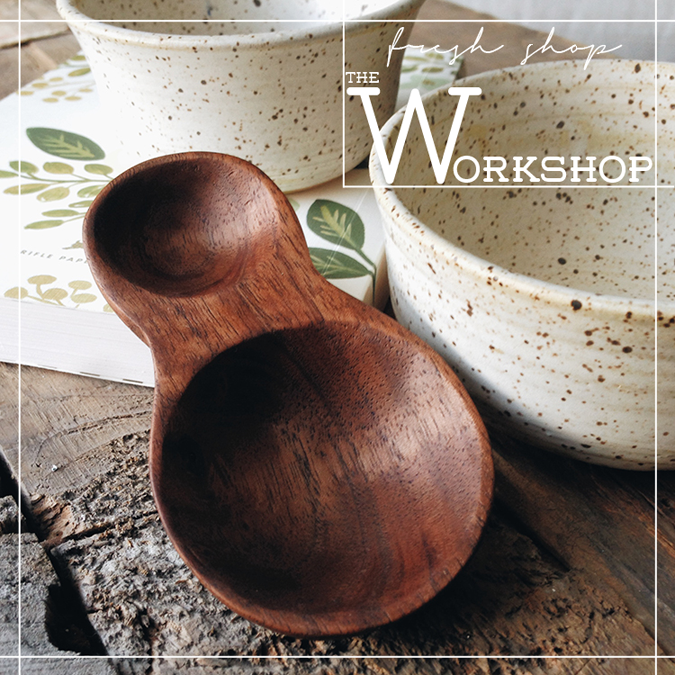 They are as alluring as they are practical and all handmade using gorgeous wood and homemade "wood butter" that gives it the finish you see and love. Every single one of them. Sure it takes time, sure he had to teach himself this trade, and sure he has both a full time job AND a new little baby girl, but like most artists- it doesn't stop him. 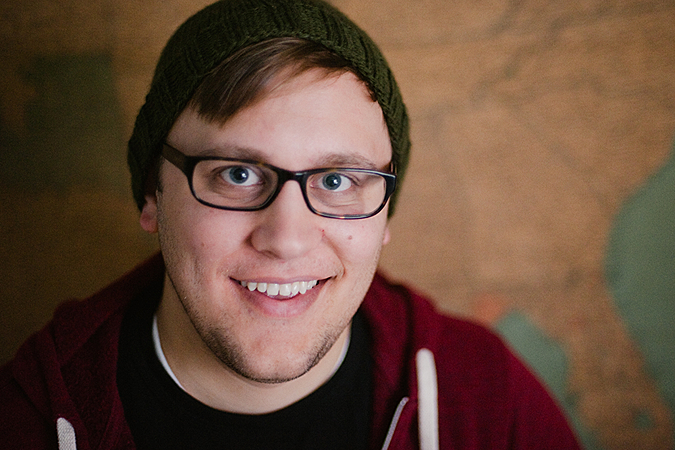 My name is Michael Smith and I am a father, husband, dreamer, designer and disciple. I live with my wife, Lindsay, new baby girl, Juniper and our Boston Terrier, Sadie in the suburbs of Philadelphia. My days are spent as a full-time graphic designer for an email marketing software company and my nights and weekends are when I focus on spoon making. What encouraged you to start The Workshop? 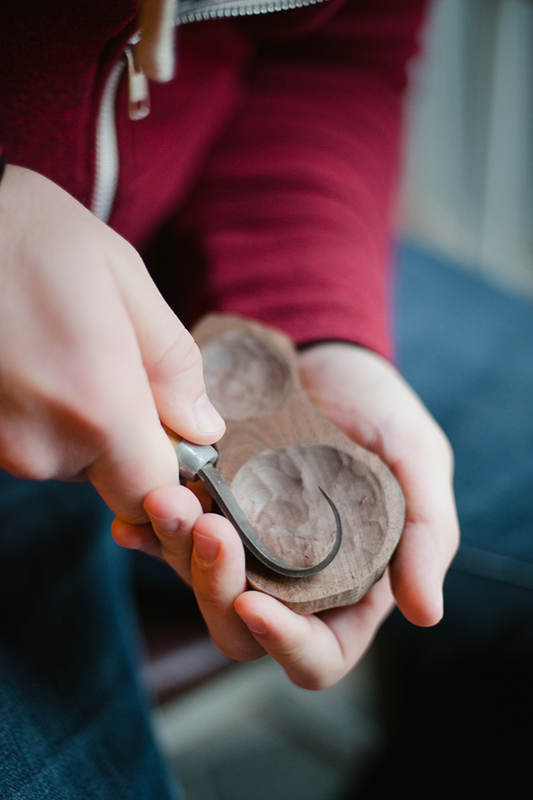 I have always loved making with my hands and stumbled upon a blog post one day linking to a video about spoon carving. It really peaked my interest and I started to research it more through YouTube and any other links I could find online. Soon afterward I bought my first 3 tools and fell in love. Where did your love of working with wood come from? Why did you choose that medium? I cannot pin point exactly where wood became my passion but I have been surrounded by wood lovers my whole life from my grandfather to my brother and even my father-in-law. Wood is timeless and beautiful and makes my work so easy because the grain is 95% of what makes my spoons so awesome. When I posted my first spoon attempt on Instagram a bunch of friends were in love and started asking when I was going to start selling these. That was fun but I knew I had a lot of growing to do. So after I made a few more I decided that I couldn't keep them all so I started to sell them online. What types of wood work best for what you do? Is there anything special about the materials you use for your products? My 2 favorite species to date are walnut and cherry. They are easy to carve and the grain and color resonate with most people. The other thing that makes the grain and color pop is wood butter (fancy name for the finish). The one I use I made from a local beeswax and mineral oil concoction. Where do you find inspirations for your alluring products? Instagram is great and there are a lot of carvers on there that share their work. With that said I try not to copy other people but it is sometimes cool to see what others are doing. Are there any specific companies or sites out there that help keep you motivated and inspired? There are a lot of small/midsize brands (Ugmonk, Workerman, Topo Designs) that inspire me to keep at it. Seeing their drive and passion for their craft reminds me that I can do it too. I am also super thankful for Storenvy! They make selling online fun and affordable, I really can't say enough about them (but I can say a lot if you want to read more here). 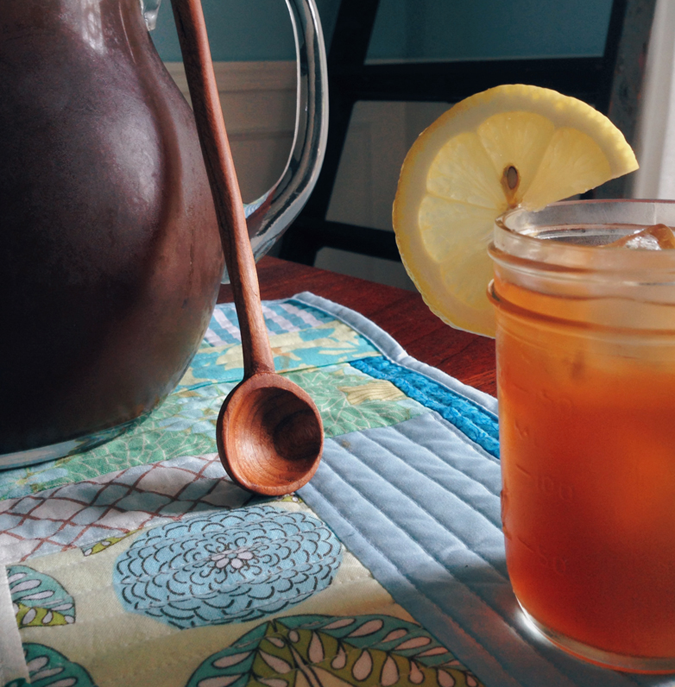 Take us through a typical work day! Do you work in a studio, shop, etc? How do you go about crafting your beautiful pieces? Since I have a full-time job I mainly work on spoon carving on nights and weekends. I split my spoon making time between my little work bench in my basement and my tiny concrete slab of a porch out my back door. My favorite spoon to make is my measuring spoon. 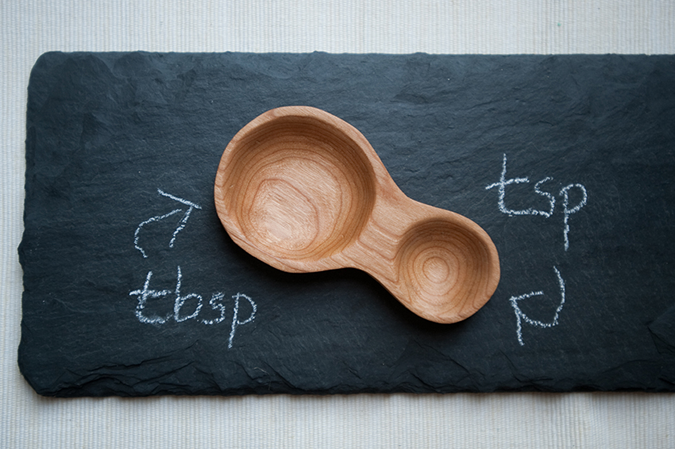 The idea of a teaspoon/tablespoon combo was where it started and then the shape evolved out of that. Another reason I love it so much is because the size and shape is very versitile; it even fits in a coffee canister. I love to read, spend time with my family and explore small towns. Where can people find your products? Exclusively on Storenvy.com? The best place to buy my spoons is on mesmithdesign.com. But the best way to stay up to date on the latest is through Instagram. Thank you so much Michael!!! This swell guy has offered all Sweet Lavender Bake Shoppe readers 15% off ANY ITEM in his amazing shop! Just enter the code: 'sweetspoons' upon checkout! Those measuring spoons are so cool! Like crazy cool! I love how gorgeous they are and the fact he makes them all by hand!